Testimonials & Reviews - Oceanside, NY & Clifton, NJ: Glenn Rosenberg, DC. PC. 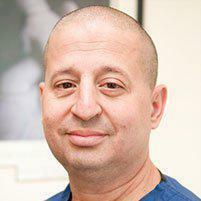 Dr. Glenn Rosenberg always appreciates feedback from his valued patients. To date, we’re thrilled to have collected 6 reviews with an average rating of 4.83 out of 5 stars. Please read what others are saying about Dr. Glenn Rosenberg below, and as always, we would love to collect your feedback. Very friendly and helpful! Really felt like he helped. Great environment and staff! The doctor was professional and enjoyable to work with. First time visit. Arrived in a world of pain and left feeling relieved and looking forward to my next visit. Not my usuL visit to the chiropractor where I get electrical stimulation and an adjustment where I need another two days to recover from that. I highly recommend coming. Dr offers several different approaches tailored to your needs. Wish I'd known of this doctor sooner. Dr. Rosenberg is very personable and easy to talk too, he has helped me through my difficult back issues after having several back an neck surgeries.